CHARGE FORWARD (AUS) (Bay 2001-Stud 2005). 4 wins-2 at 2, AJC Galaxy H., Gr.1. Leading NZ Sire of 2YOs 2010-11. Sire of 386 rnrs, 250 wnrs, 16 SW, inc. Headway (VRC Coolmore Stud S., Gr.1), Response, Shrapnel, London Lolly, Slightly Sweet, Solar Charged, Direct Charge, Cavalry Rose, Sabrage, Saul's Special, Assail, Crack a Roadie, Road Trippin', Urban Groove, Fort Lincoln, Rush, SP Ariaz, Zaragoza - Ghost Cry (Mal. ), Bradman, Simply Put, etc. Bossdon City (g. by Beautiful Crown). 4 wins-1 at 2-to 1100m, A$119,490, STC Theraces.com.au 2YO H.
Classy Franky (g. by Anglia). 4 wins to 1300m in Aust. Secret City (g. by Nicconi). Winner at 950m in 2016-17 in Aust. HEADWAY (Charge Forward). Champion 2YO Filly in Australia in 2008-09. 4 wins-3 at 2-at 1100m, 1200m, A$1,171,138, VRC Coolmore Stud S., Gr.1, AJC Sweet Embrace S., Gr.3, MRC Chairman's S., L, Glenfern 2YO P., 2d STC Golden Slipper S., Gr.1, MRC Thoroughbred Club S., Gr.3, Quezette S., L, 4th MRC Thousand Guineas Prelude, Gr.3. Beckon. 4 wins to 1200m, A$146,718, ATC Jim Beam Summer Season H., St Johns Park Bowling Club H., MRC (Mornington) Berry Fitness H., 2d ATC TAB Rewards H., MVRC Simpson Construction H., 3d ATC Big Sports Breakfast H., SAJC Veolia H.
Formula Galore. Winner at 1200m in 2016-17, HKJC Palm H., 2d HKJC Magnolia H., 3d HKJC Wong Chuk Wan H.
Just Flirting. 4 wins from 1000m to 1600m, AJC Picton Bowling Club H., Sydney Autumn Racing Carnival H., 2d AJC Tim Sweeney H., STC Denistone H., 3d AJC Camden H. Producer. The Proverb. 2 wins at 1600m, 1900m, STC Willoughby Ladies Probus H., 2d AJC RAAF H., STC Yarramundi H., 3d AJC Darlington H., STC Dr Grace H., CLM Excavations H., NSW Masonic Touring Group H.
Night Frolic. Winner at 1400m, AJC Bell Securities Mick Young H., 2d AJC St Aubins 2YO H., STC Tooheys New 2YO H., 3d AJC Nohra Smallgoods Distributors H., Red Jester H., STC Members 2YO H. Producer. Moonlighter. 7 wins to 1200m, 2d AJC Australian Home Mortgage Corporation H.
Silencing. 7 wins to 1200m in Aust. Southern Proverb. 5 wins to 1200m in Aust. Tanabota. Winner at 2 in Aust. Sire. Midnight. Winner at 2 in Aust. Roy Rajas. 6 wins from 1400m to 1600m, SAJC Allan Scott Park Morphettville H., 3d SAJC Sugars Bucks Show H.
Harry's Hot. 2 wins at 1300m, 1600m to 2015-16 in Aust. Dubyago. 4 wins to 1400m to 2015-16 in Aust. Quechua. 6 wins to 1400m, MVRC Les Batten H., 2d VATC Tolerance H., Nuffield H.
Midnight Slipper. 2 wins. See above. KALA ROCK (Kala Dancer). 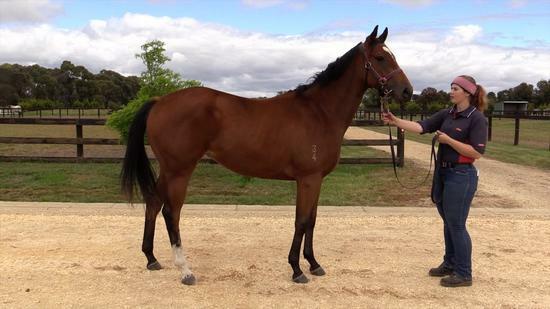 6 wins-2 at 2-from 1100m to 2600m, TTC Tasmanian St Leger, L.
FAIR EMBRACE (Strategic). 6 wins-2 at 2-at 1000m, 1200m, NZ$10,000, A$1,085,050, MVRC Champagne S., Gr.2, AJC Sapphire S., Gr.3, 2d AJC San Domenico S., Gr.2, TJ Smith S., Gr.2, Shorts H., Gr.3, Sapphire S., Gr.3, 3d WRC Telegraph H., Gr.1, AJC Challenge S., Gr.2. Producer.